Discover how social selling can affect your ability to close the deal, and learn why closing is only the first step in this post from LinkedIn Sales Solutions. 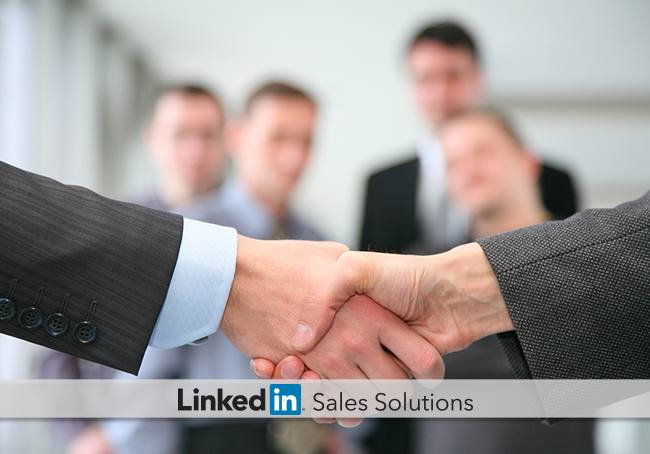 Social selling has created a more informed, genuine approach to prospecting. However, the end result remains the same: social sellers are still intent on closing deals. A recent Forbes report by social sales specialist Jim Keenan found that 54 percent of respondents tracked social media usage back to at least one closed deal -- and 40 percent closed between 2-5 deals. While social selling offers unique benefits in engagement and relationship management, it has a direct effect on your ability to make the sale. Old-school salespeople ask a few general questions before diving into their sales pitch. Today’s prospects expect more than a cursory discussion about their interests. If you didn’t spend time connecting with them before initial contact, you are missing out on a much-needed opportunity to get to know them and increase your ability to move them further into the funnel. LinkedIn Sales Navigator offers the tools to conduct your initial prospect research, including advanced search data on experience, function, seniority, interests and company size. Organize similar profiles into custom folders for easier access later. Your product/service may contain inherent value, but that can’t be the message you lead with. Building trust before the sales pitch helps establish credibility with your prospects and increases the likelihood that when you do reach out in a sales-driven capacity they are primed to listen. Building that trust leads to an increase in with warm leads, because you’re better equipped to understand and address their needs. Have I framed the features and benefits of what I’m selling according to the prospect’s needs? Do we have an appropriate timeframe for implementation? Do we have the backing of senior-level members within the prospect’s company? Are there enough funds to sustain a long-term relationship? Is the prospect genuinely willing to engage in a partnership, or are they being forced into something with reservations? It’s not enough to jump in with a sales pitch and expect results – closing in today’s world takes extensive prospect research and engagement. But take note that your sales process doesn’t end when the dotted line is signed. The relationship you build before the close should continue for a number of reasons, with 2 of them being potential additional sales and referrals.